For a full featured trial register here and we'll email you the download link. "Often we have to manipulate data to fit into file structures, or to match values in the target source systems. Datamartist allowed us to build a robust automated extraction. We plan on using this tool to replace several semi-automated extraction processes that currently require multiple steps. 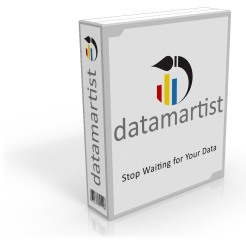 I am confident Datamartist will provide us with single step processing, saving time and complication (reducing risk for error)."